Psychology Today posted a free and simple Time Management Skills Test that only takes a few minutes to answer. Please do so and then read your scoring results (don’t buy the full report). Great, now about your score… if you’re less than 90% of where you could be (100% on the PT scale), let’s quickly bandage your Achilles heel and get you back into the race to “get it all done”. The quiz should have helped you identify if your core problem is time management, task logic or environment. If the problem is internal, you may feel overwhelmed by the amount of work before you. Maybe you procrastinate or are hooked on social media. Do you have to stop everything to immediately read and respond to every email dropped in your inbox? Perhaps your attention often wanders to other tasks; you stop working to start something else but then realize if you work longer on that, you’ll be late with this. Take heart; there is a quick and easy re-orientation you can do with the help of a task-logic workflow sheet (below). If your problem is external in nature, organizing and simplifying your environment will help. Where’s that phone number (or a hole punch or stapler) when you need it? You really won’t remember that you put the stapler on the bookshelf last week rather than on the desk. You really will have to hunt for it. Quickly list on paper or spreadsheet EVERYTHING you need to accomplish this week: Tuesday staff meeting, create PowerPoint for marketing, lunch with Doug, etc. Time management expert Stephen Covey suggests identifying each task as UI (urgent/important); UU (urgent/unimportant); NI (not urgent/important) and NN (Not urgent/not important). You can create a matrix, as he does, or just write the initials by each. 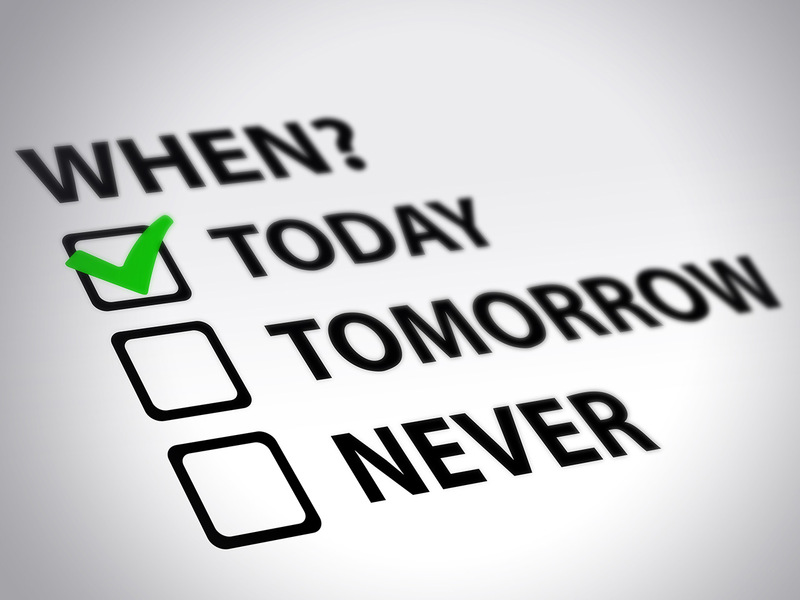 Your top three “urgent/important” tasks are your “focus list”. Write those down on a separate piece of paper. On that sheet, break the larger tasks down into do-able steps; if one component can’t be completed today, assign a deadline for completion to it. 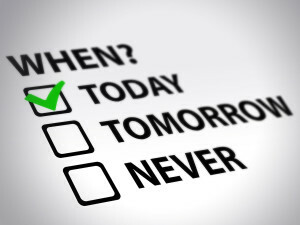 You now have two lists – a “Master List” where you’ll add tasks as they come to you, and the “Focus List” where you transfer those, one by one over time, based on urgency and importance. Decide on a small reward for getting those first three tasks finished. The value of the reward is decided by the difficulty and time required to complete the tasks: a coffee, checking in on FB, a 10-minute walk, a favorite entree at dinner. Write down that reward after the third entry. Assemble any materials and information you need to accomplish all three tasks. Now you are ready to start. Don’t let other concerns distract you from this list. As you finish a task, add another job (from the master list) to the bottom of the focus list, based on its urgency and importance, inserting an appropriate personal reward between every three jobs. Check your email between tasks, and whenever possible, allow only 5 to 10 “diversion minutes” per session for replies. Set aside two hours a week to de-clutter. This is when you’ll organize your desk, your files, etc., and you’ll knock off the quickest, easiest things on that big master list, regardless of their importance or urgency. Sometimes we just need to feel like we’re making progress to keep our head in the game. Then, when someone asks when you’re going to do that unimportant thing that you know would never make your ever-changing top 3, you’ll have an answer. This logic workflow training takes time to setup and to adopt and more time before it feels natural and routine. Your opponent is distraction; safeguard your time, even when it means saying “no” to unimportant requests that would put you behind rather than help you get ahead. The benefits of this training will almost immediately become clear, the built-in reward system helps keep you motivated and in the game. The best part of all: you’ll be amazed at how quickly your time management skills (and score) will improve.